The Cathedral Basilica of SS. 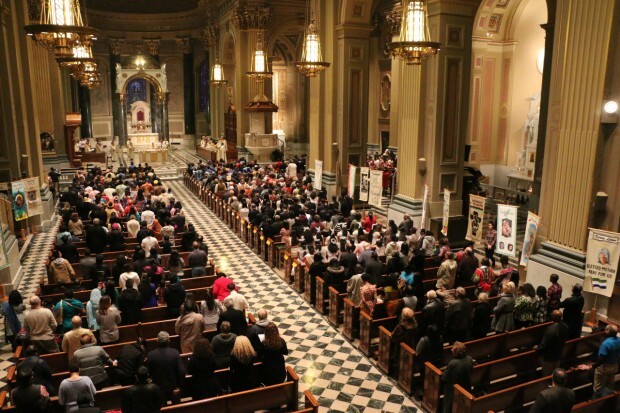 Peter and Paul in Philadelphia is issuing an open call throughout the Archdiocese of Philadelphia to recruit new individuals for its Cathedral Ambassadors program, an evangelization ministry of the cathedral. The volunteer ambassadors serving from all across the archdiocese provide a personal presence every day of the week in the cathedral and answer questions about it. Ambassadors serve in four-hour shifts in a flexible schedule with assignments for one day a month or more. Training and materials are provided. For more information on becoming a cathedral ambassador, contact Martha Ortiz, program coordinator, at cathedral.ambassadors@gmail.com. The next orientation is scheduled for early September 2018. Learn more about the Cathedral Basilica here.